Over the past twenty years, Glasgow born Craig Armstrong has been one of the hardest working British composers and is the man many top film directors call when they’re looking for a score to their latest movie. This includes fellow Glaswegian Peter Mullan and Baz Luhrmann, who Craig Armstrong collaborated with and created the score to Moulin Rouge and The Great Gatsby. They’re two of the highest profile projects the quietly spoken fifty-nine year old award-winning composer has worked on during a long and illustrious career. It began in 1981. after Craig Armstrong graduated from the Royal Academy Of Music in Glasgow, and became the music and dance specialist at Strathclyde Regional Council. A year later, Craig Armstrong joined Midge Ure’s band on his Gift World Tour. This was very different to his previous job was good experience for the twenty-six year old musician and composer. In 1994, Craig Armstrong was commissioned by the Royal Shakespeare Company to write music for two new productions. This included The Broken Heart and The Tempest which were both directed by Michel Boyd. Craig Armstrong’s spell with the Royal Shakespeare Company ended in 2002, but by then his career was blossoming. By then, Craig Armstrong was award-winning ssoundtrack composer with a BAFTA, Golden Globe, and American Film Institute Award, as well as World Soundtrack Award and a Golden Satellite Award for Moulin Rouge!. Despite being constantly in demand to score soundtracks and compose for television, Craig Armstrong had always wanted to embark upon a solo career. This dream came true in February 1998 when Craig Armstrong released The Space Between Us to plaudits and praise. Some four years later he returned with his crucially acclaimed sophomore album As If To Nothing in February 2002. Since then, Craig Armstrong has continued to successfully juggle his solo career and soundtrack work. That was the case until relatively recently, when the fifty-nine year old decided that after twenty years moving from project to project, the time had come to spend more time with his family and more time making solo albums. This included Sun On You which is Craig Armstrong’s debut album for Decca. Sun On You finds an older and wiser Craig Armstrong revisit the music of his younger self. It’s an album of what Craig Armstrong regards as his own music. This might sound like a strange thing to say, but it makes sense to Craig Armstrong and those who have followed his career closely. In the early days of his solo career, Craig Armstrong’s music was inimitable and showcased a talented composer and musician, However, after a few albums, Craig Armstrong started to be influenced by other musicians and bands. This was something has happened to many composers and artists over the years, and some are frustrated by this. They try to detox their system and rid themselves of all the outside influences that might affect their music. This was what Craig Armstrong decided to do when he wrote and recorded Sun On You. Having written sixteen tracks that are described as music for piano and strings, Craig Armstrong went back to basics. He played piano and produced on Sun On You, which meant that he had to eschew the impressive array of electronics that surrounded him in his recording studio. In their place was strings that came courtesy of the strings of the Scottish Ensemble. They joined Craig Armstrong at Gorbals Sound Studio, Glasgow, and AIR Studio, in London and recorded what became Sun On You. Only when Sun On You was completed to Craig Armstrong’s satisfaction did he deliver the album to Decca. His new record won over executives at Decca, and Sun On You was released and marked the start of a new chapter for Craig Armstrong. 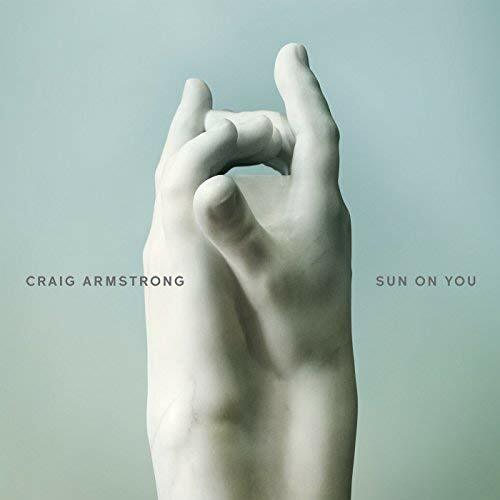 Sun On You is a carefully crafted and cinematic album of instrumental music from Craig Armstrong, This comes as no surprise given Craig Armstrong has spent three decades as a soundtrack composer. The music on Sun On You is also emotive and expressive, and has been inspired by various abstract paintings, including those by Rothco. These paintings provided the inspiration for Craig Armstrong to create an album where as classical and cinematic music melt into one. In doing so, Craig Armstrong and the string section of the Scottish Ensemble create music that is variously beautiful, cinematic, dramatic elegiac, emotive , ethereal and expressive. The music on Sun On You is also filmic.and sometimes haunting and uplifting on where Craig Armstrong hoes back to basics on an album of organic music. Unlike previous albums, it’s just a piano and strings that featured on Sun On You, where the older Craig Armstrong seeks inspiration from his younger self on a carefully crafted fusion of filmic and cinematic music where one of Scotland’s leading composers and musicians roll back the years.